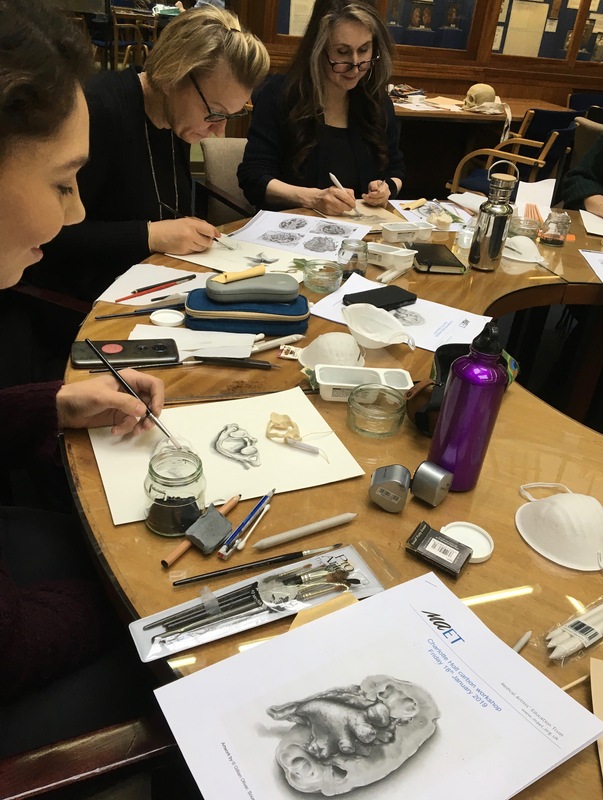 As part of this postgraduate programme, students are expected to attend all seminars and workshops. 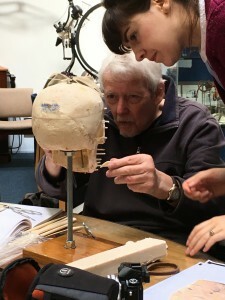 Workshops may be on a variety of subjects related to the course. 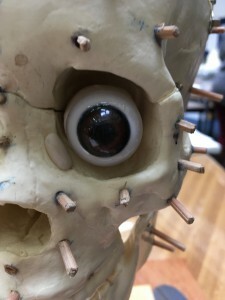 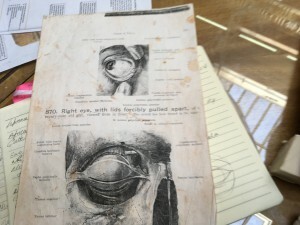 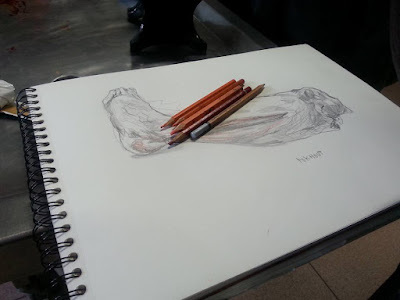 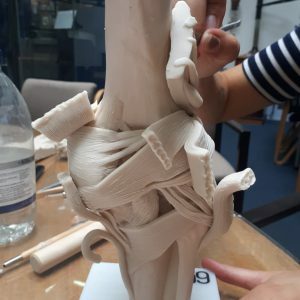 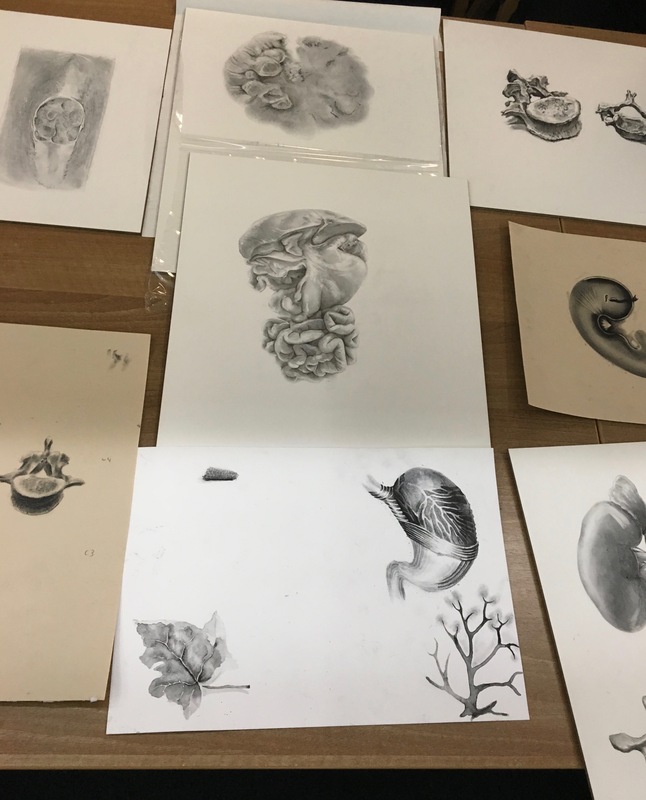 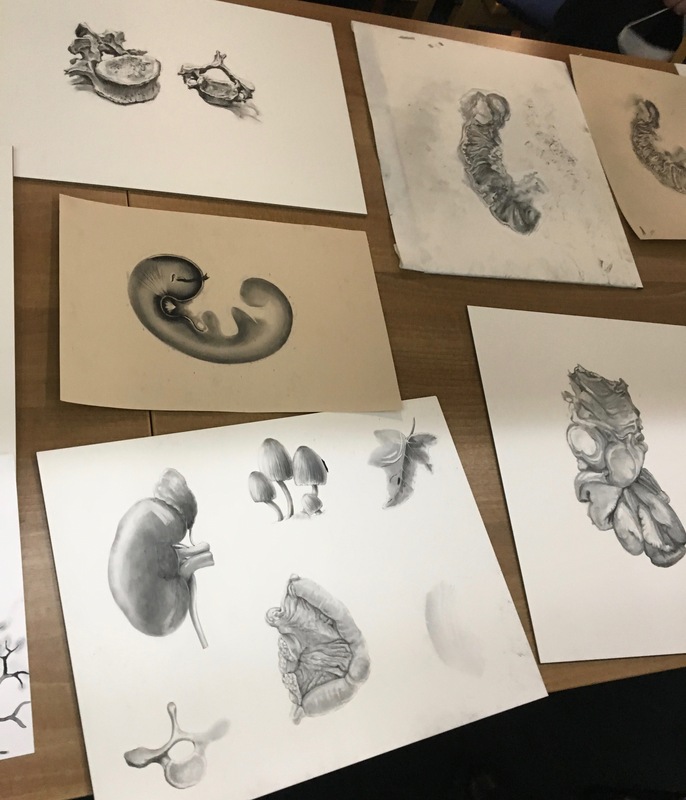 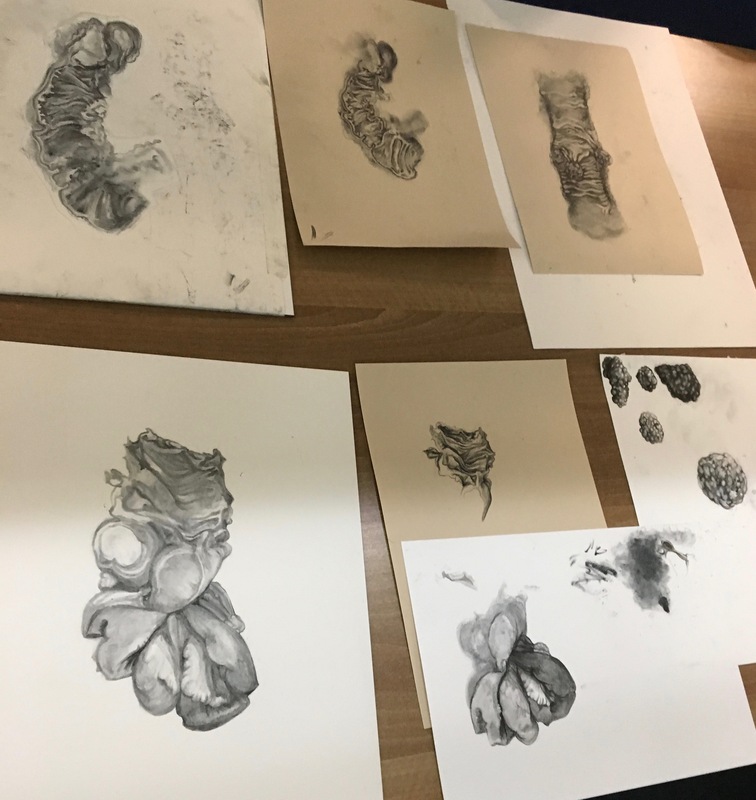 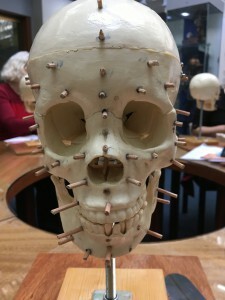 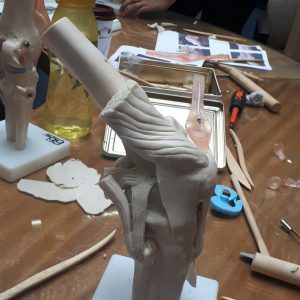 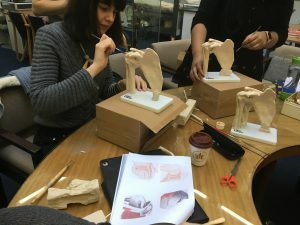 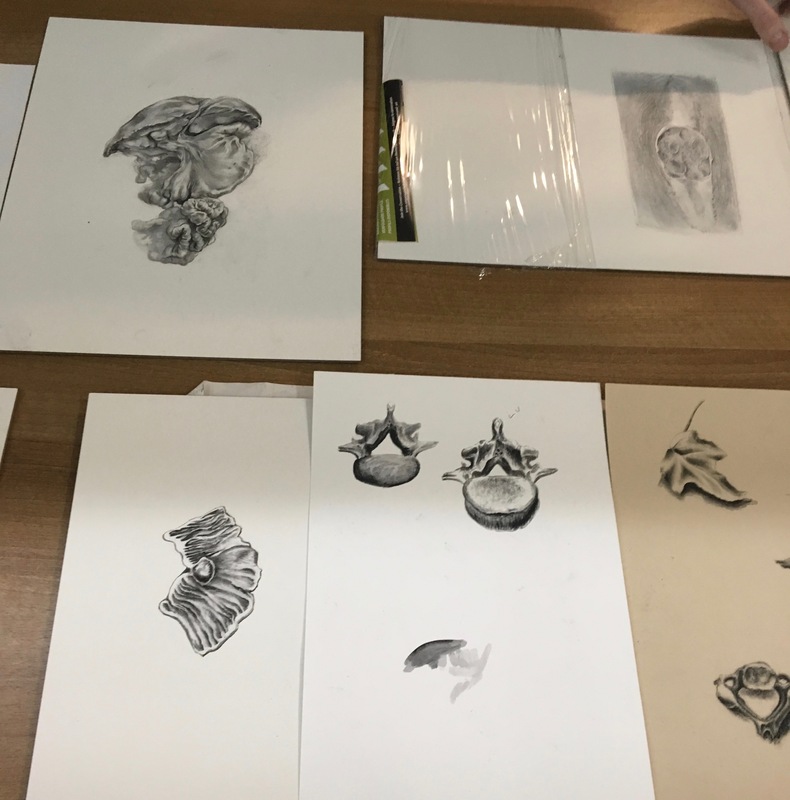 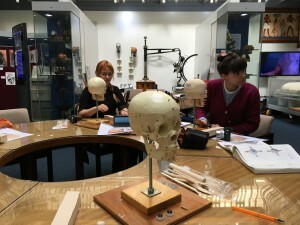 For example, these may include life drawing, life classes with surface anatomy, anatomy instruction, 3D facial anatomy modelling, 3D computer graphics and computer tuition. 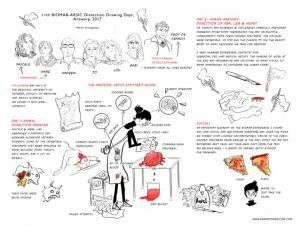 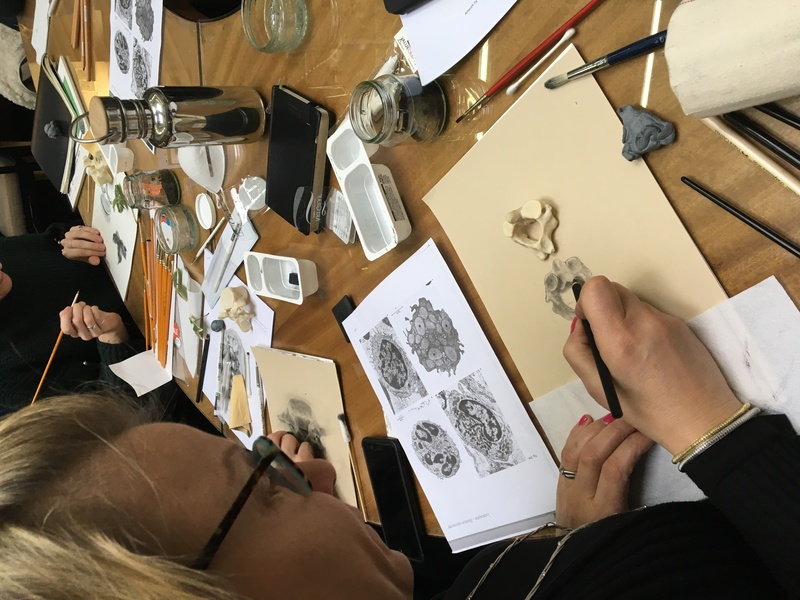 Workshops may be held in the UK or Europe, linking with other educational organisations, for example ARS and BIOMAB. 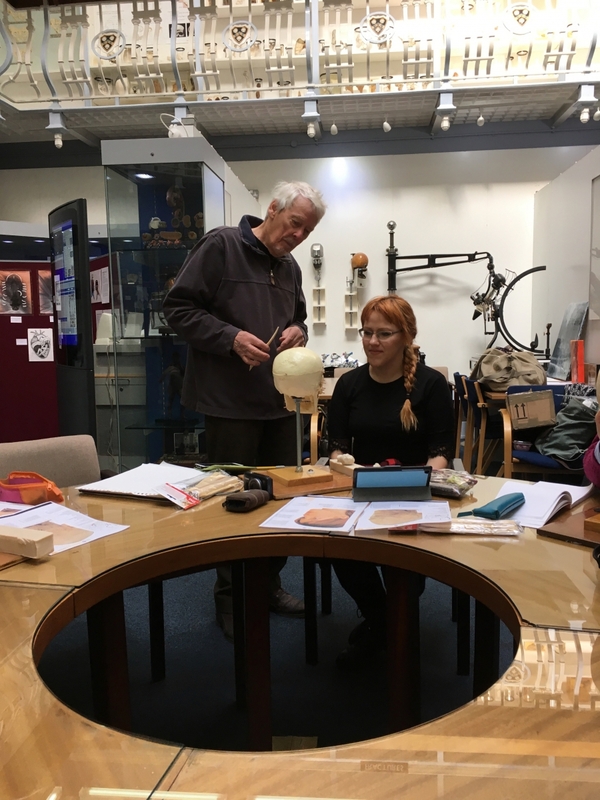 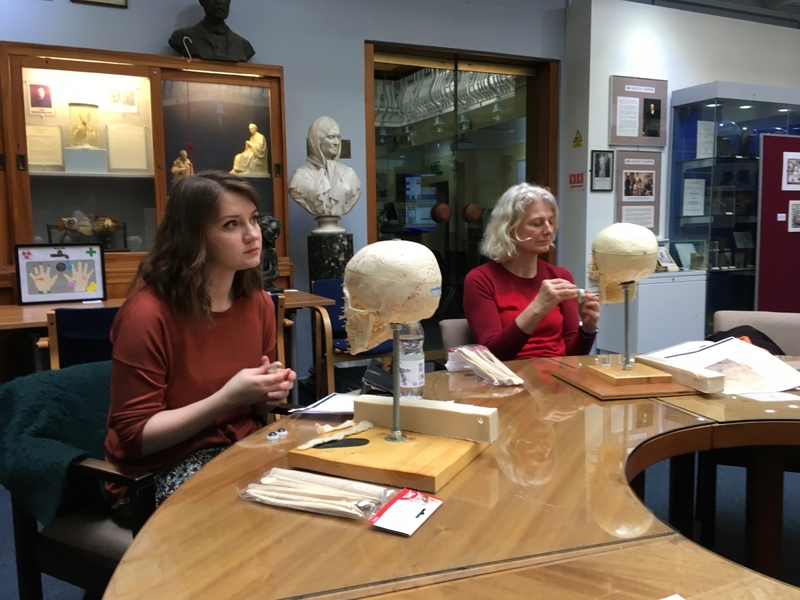 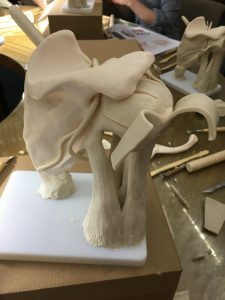 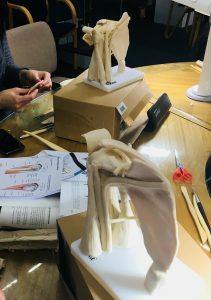 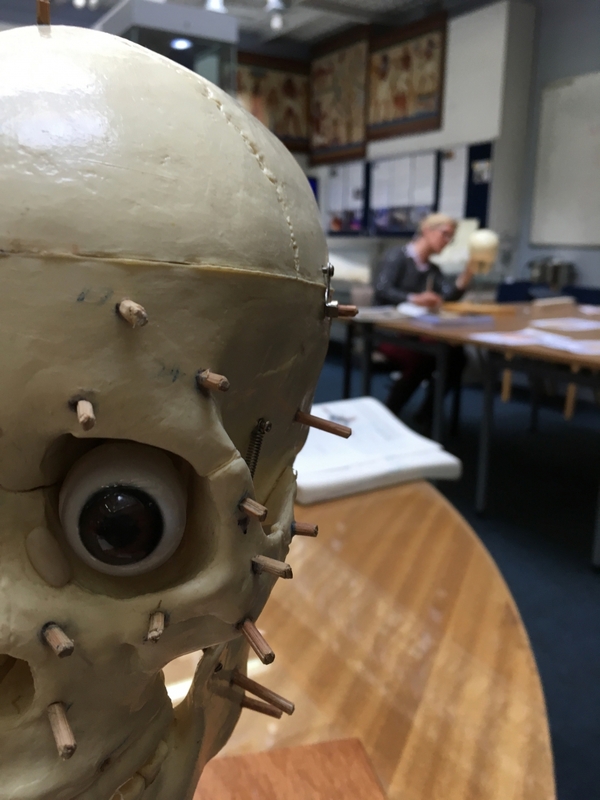 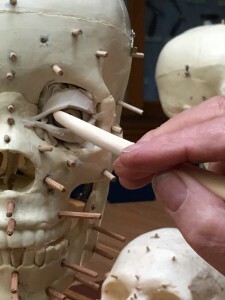 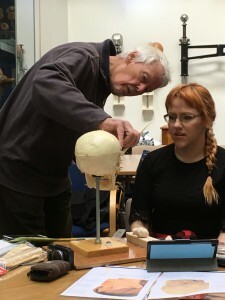 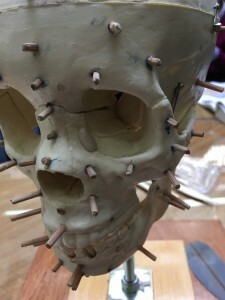 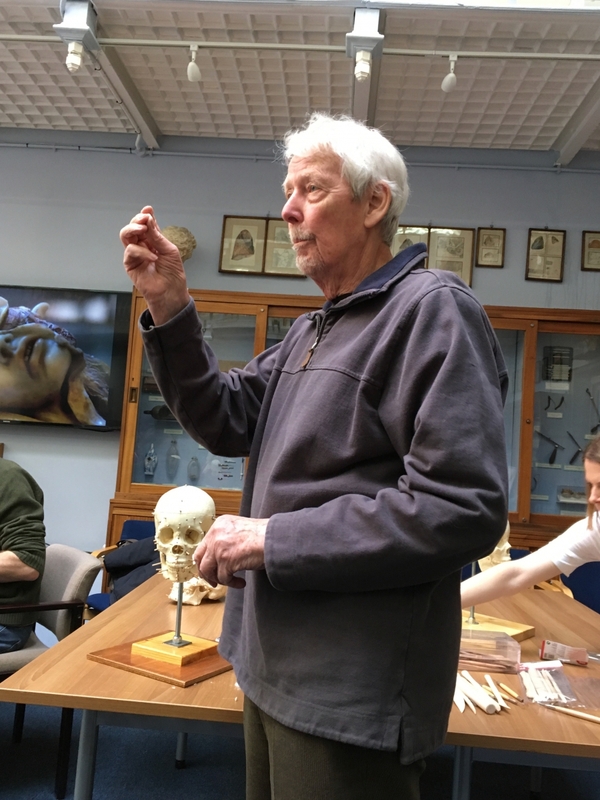 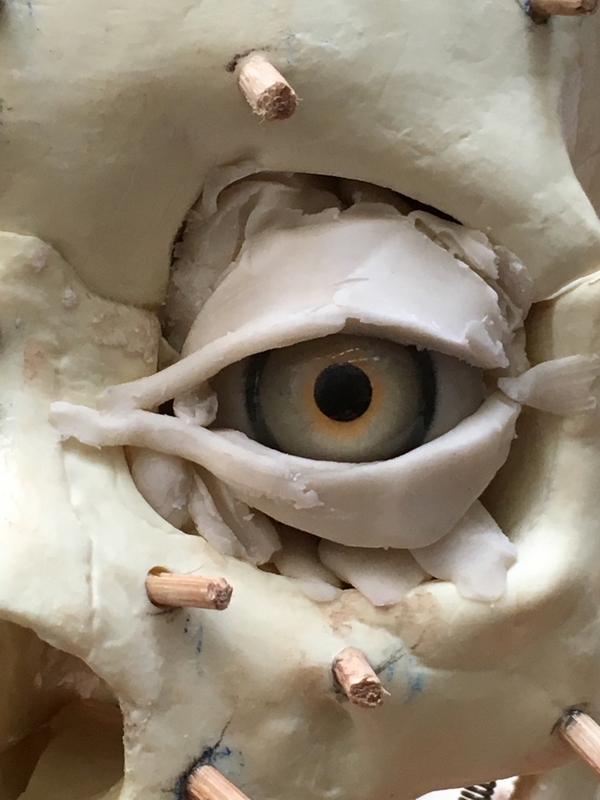 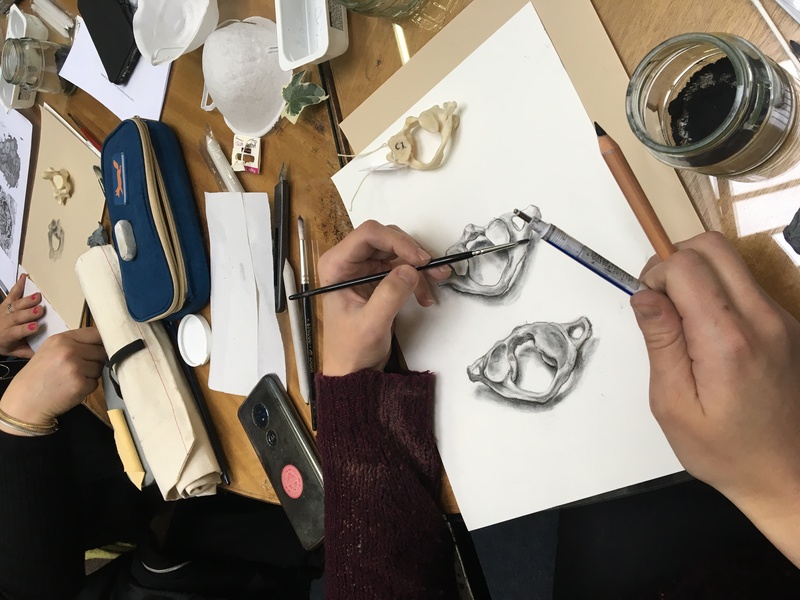 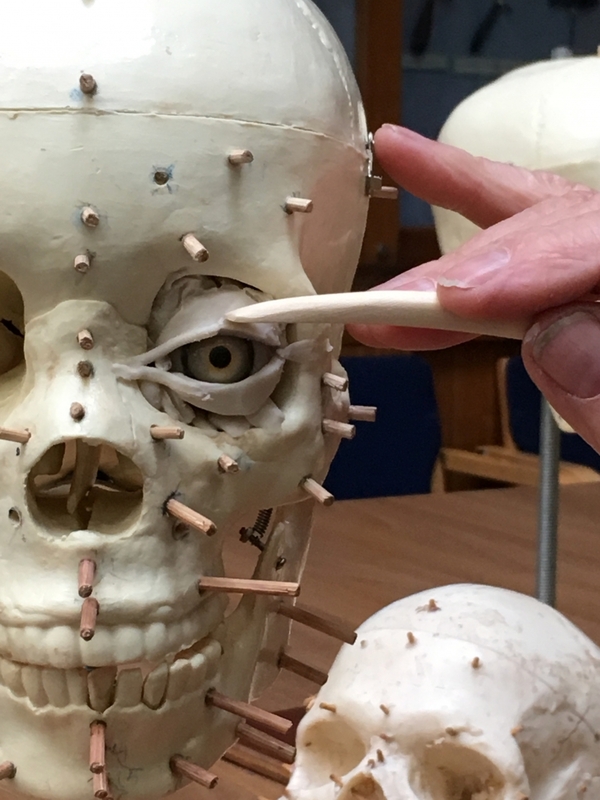 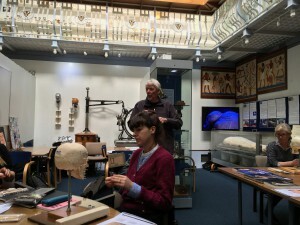 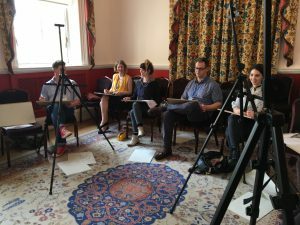 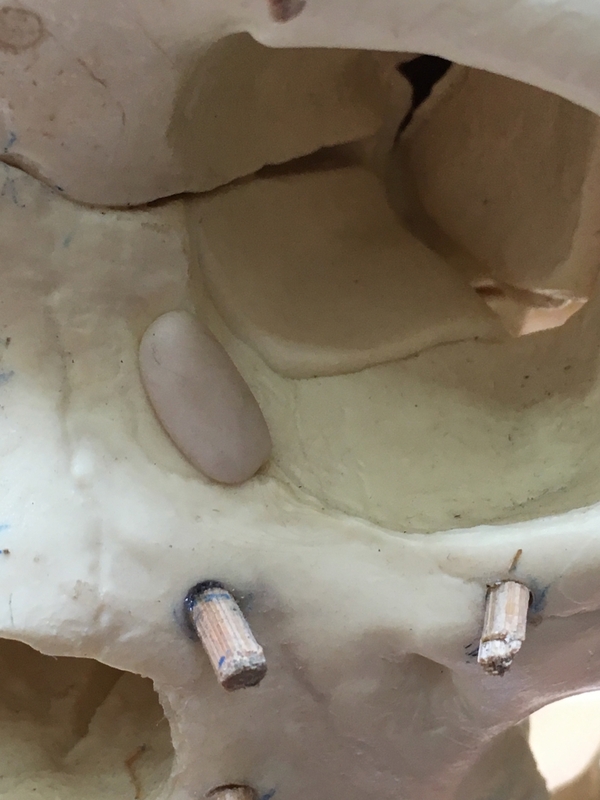 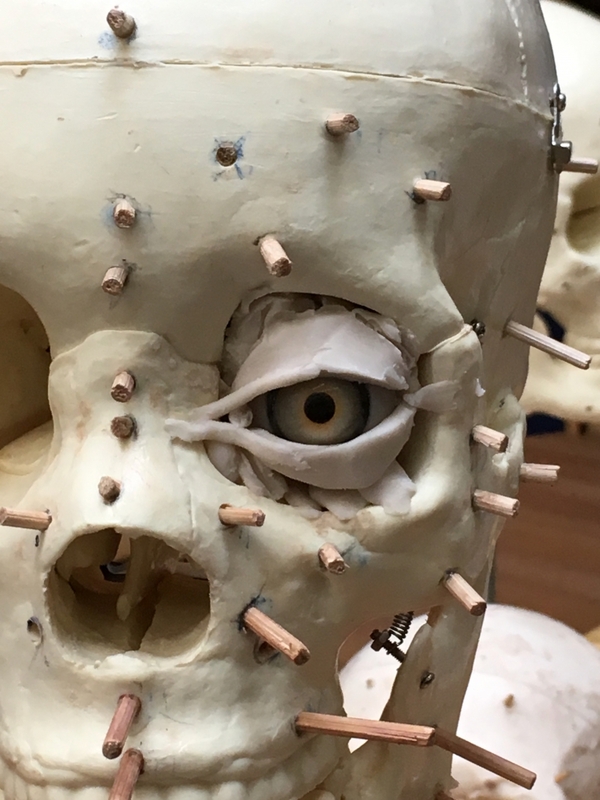 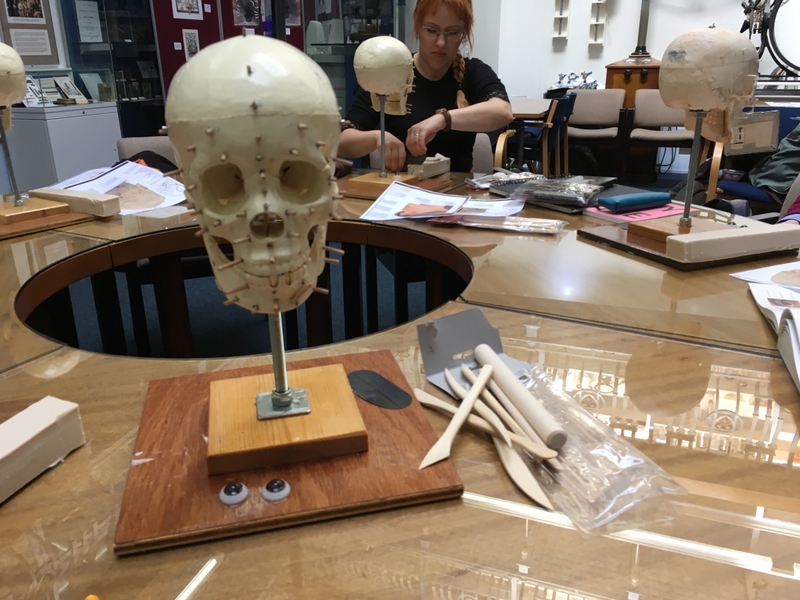 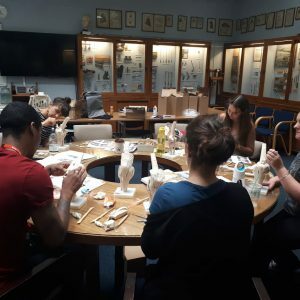 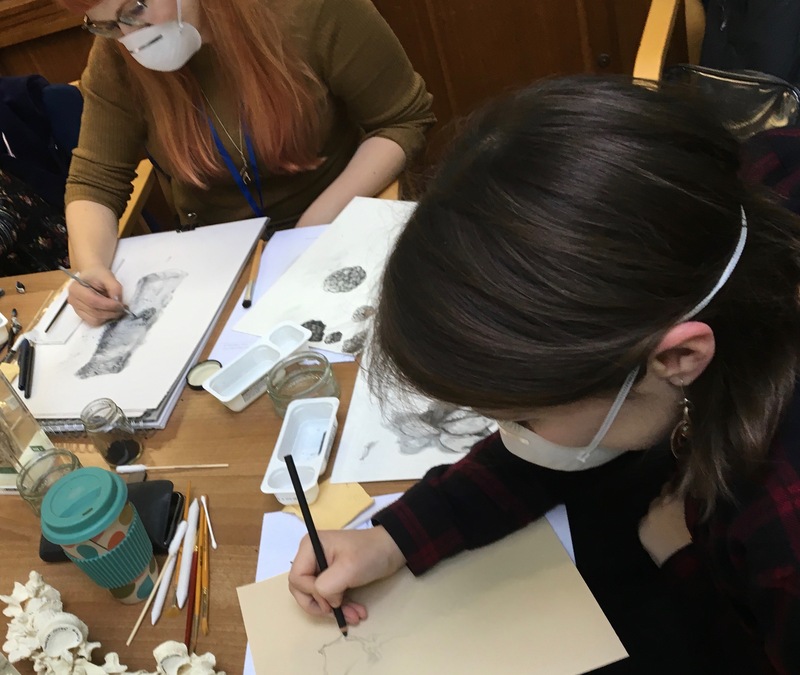 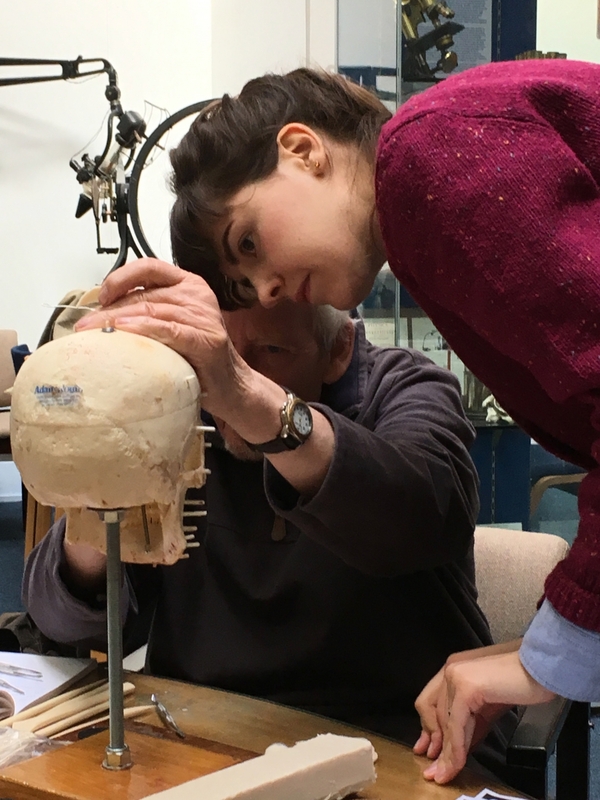 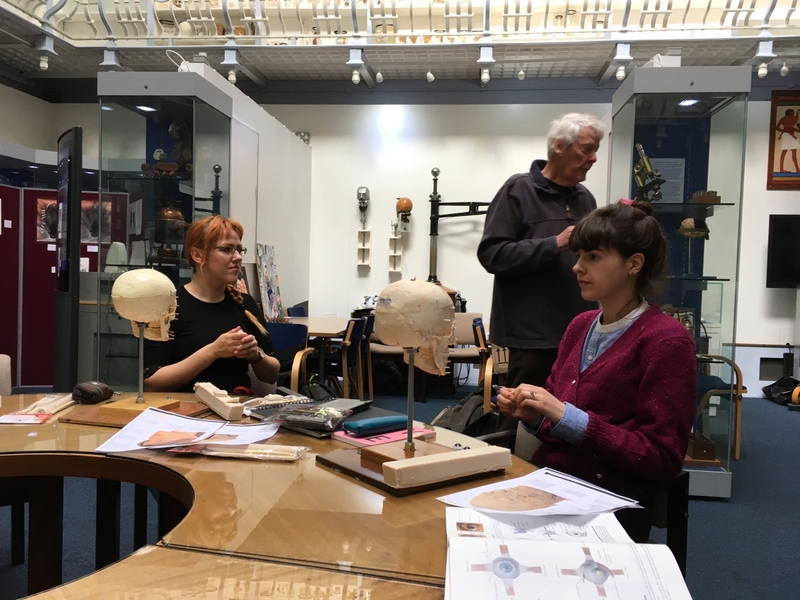 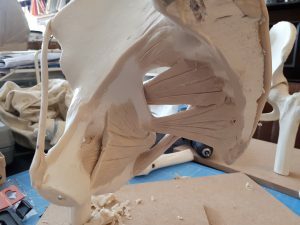 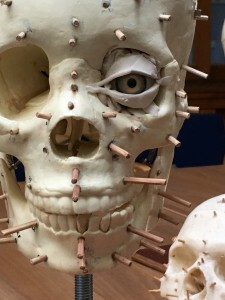 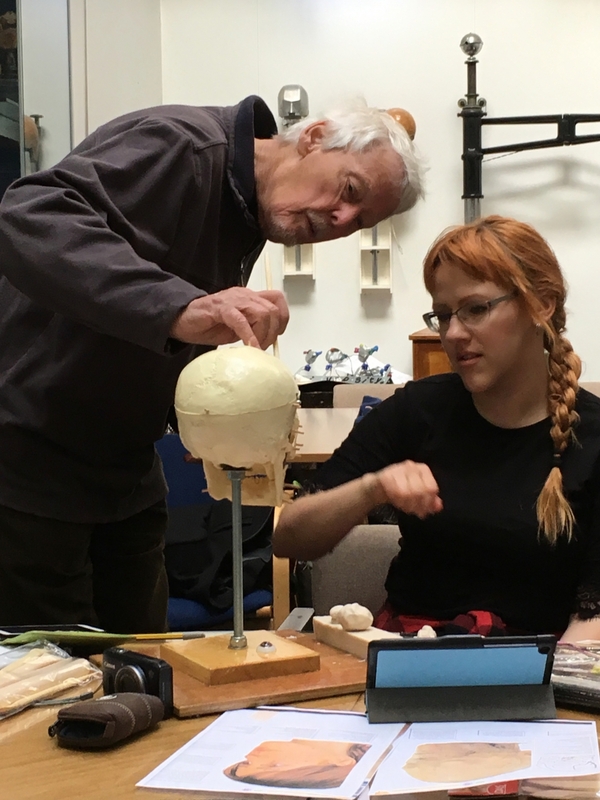 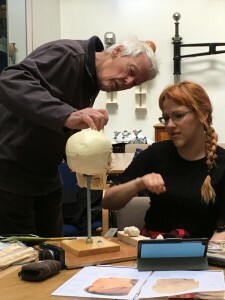 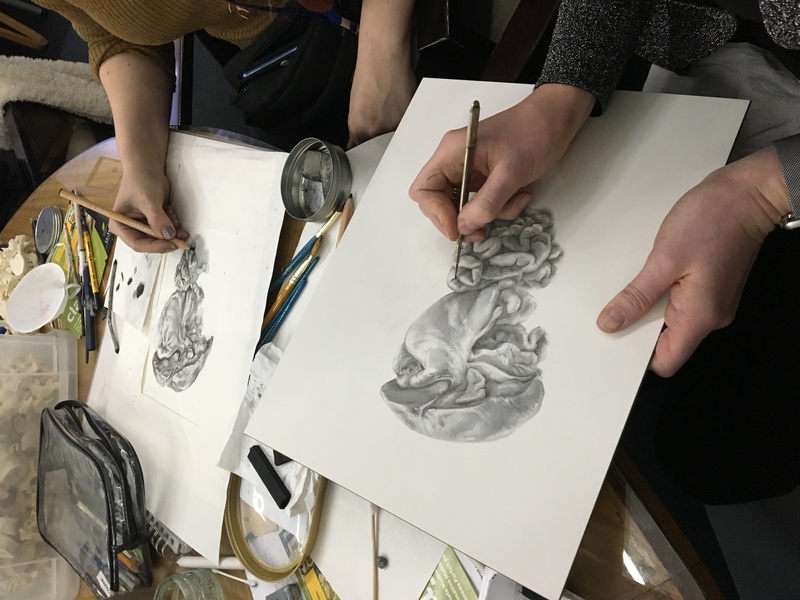 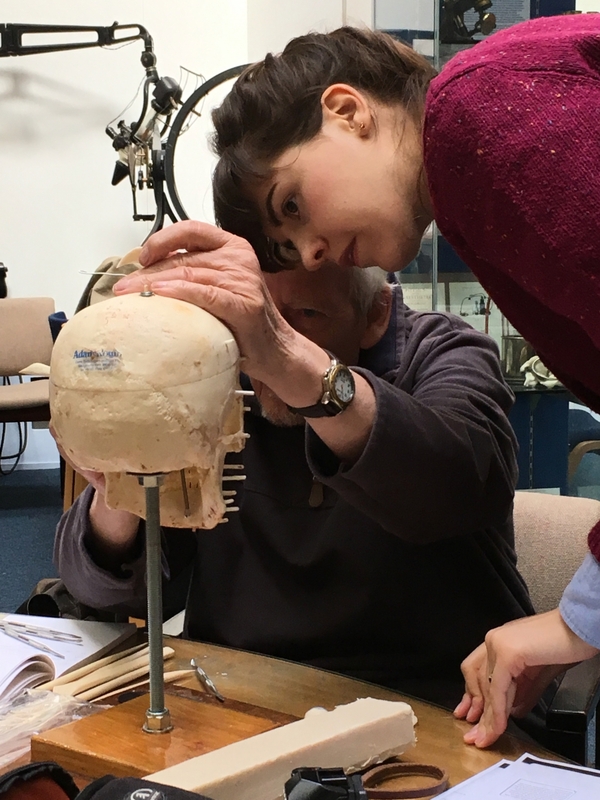 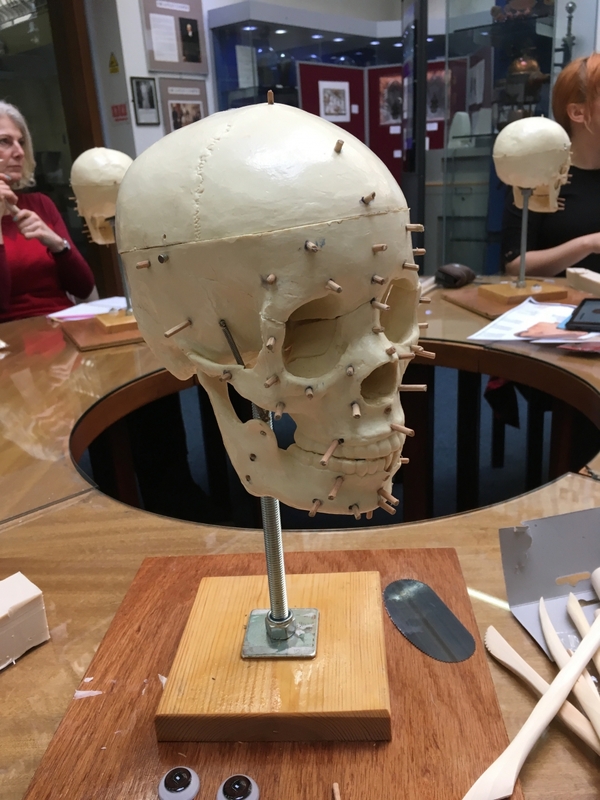 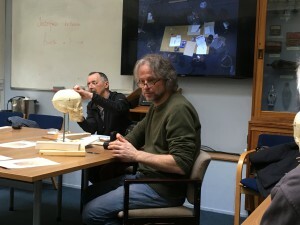 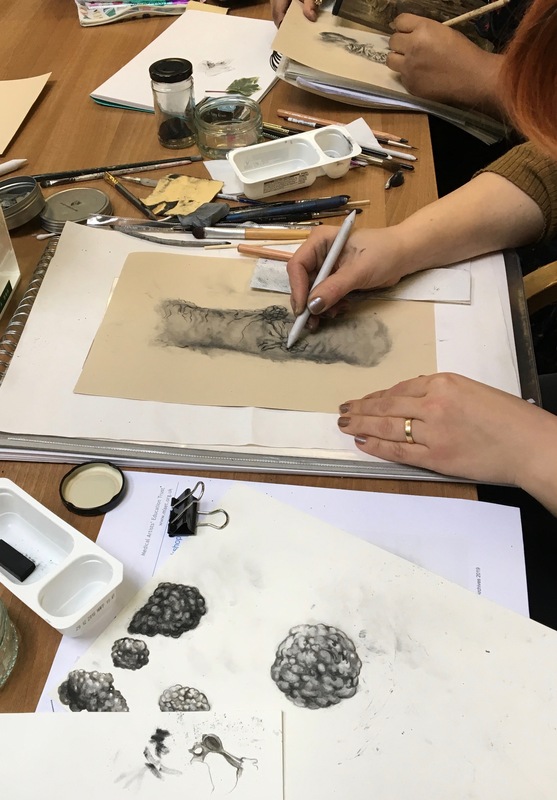 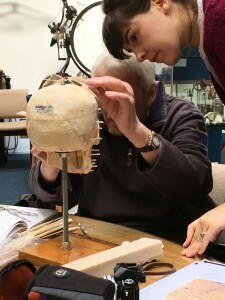 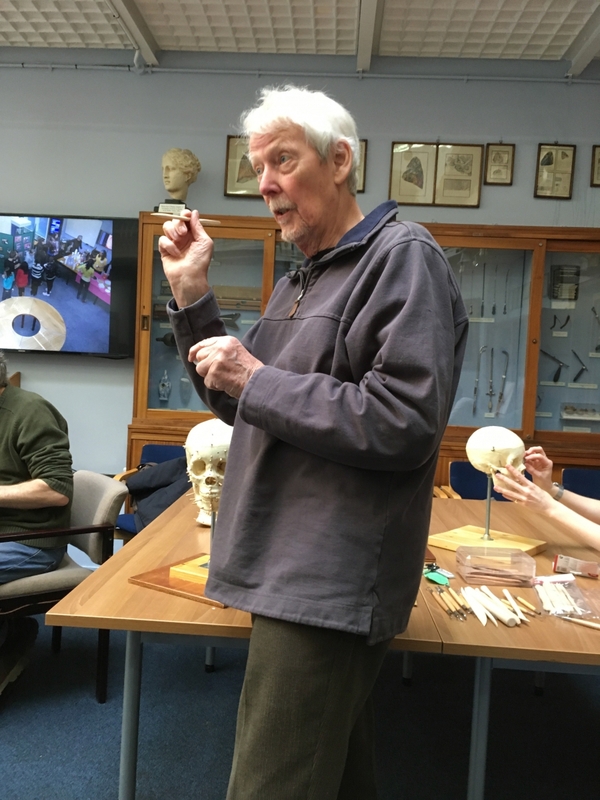 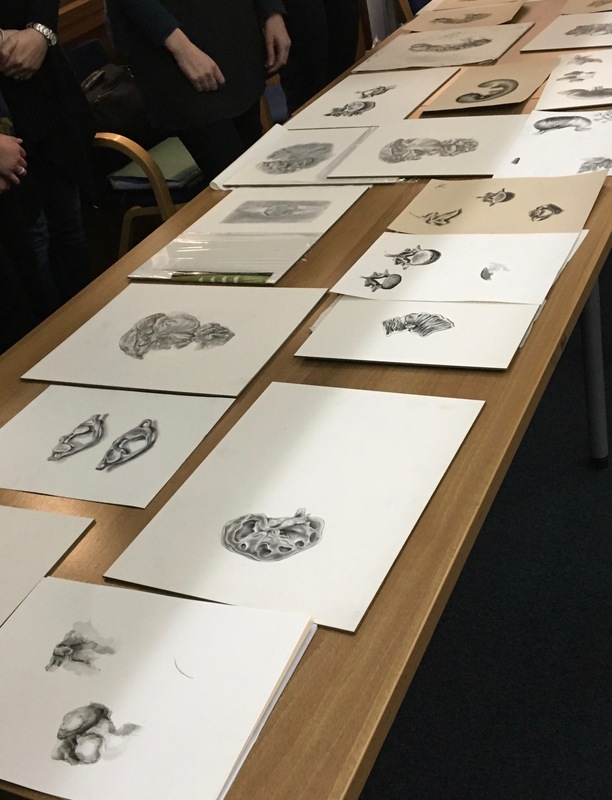 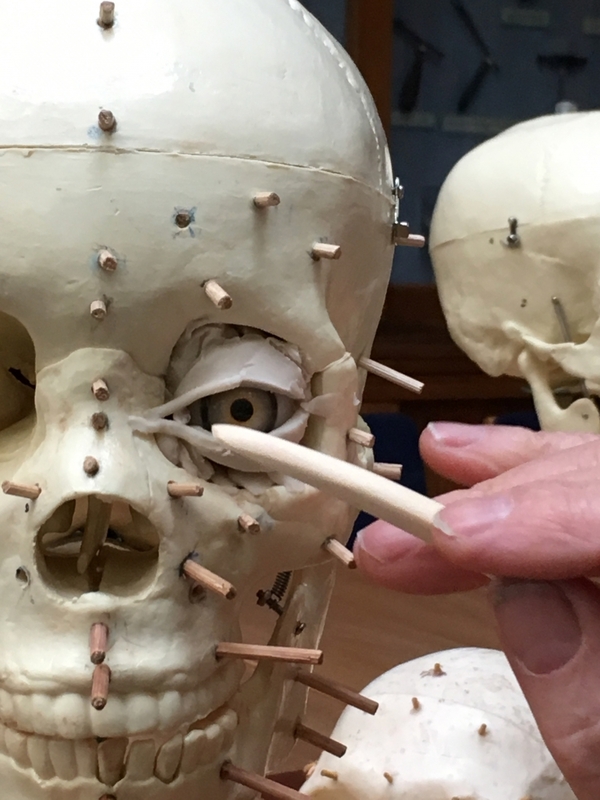 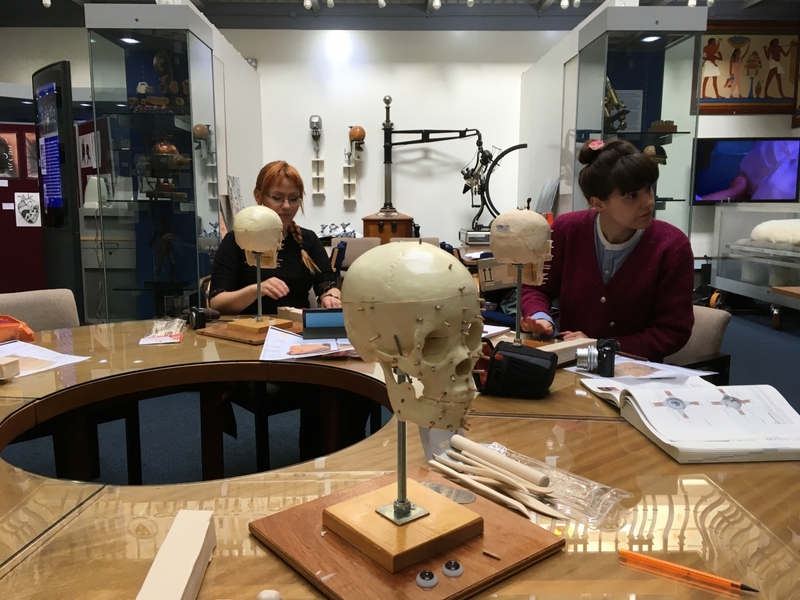 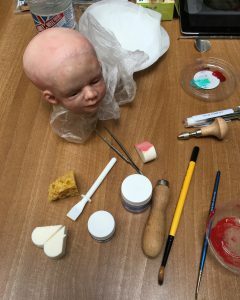 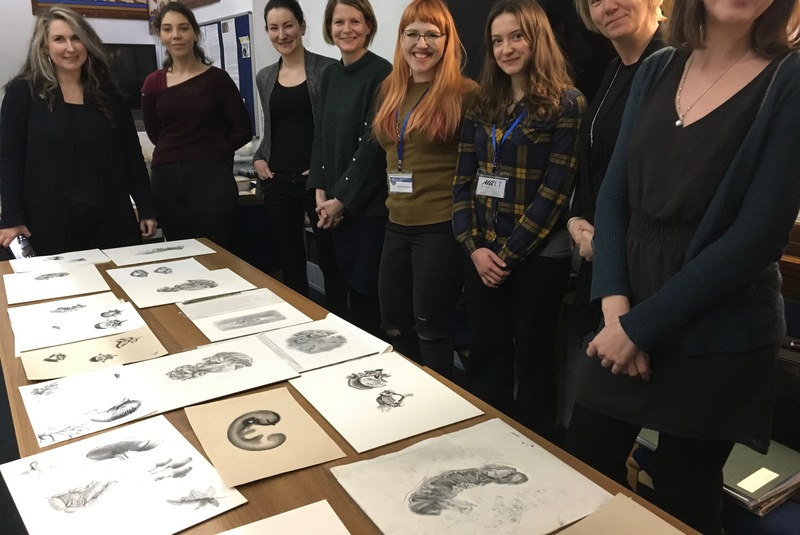 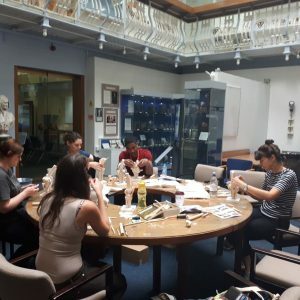 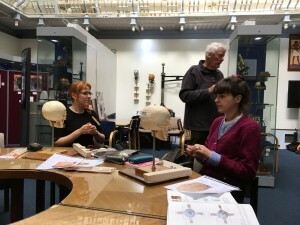 A very successful two days workshop with Richard Neave held on 27th March and 3rd of April, reconstructing the face by building the musculature from the skull out. Eight student attended from all sorts of different backgrounds. 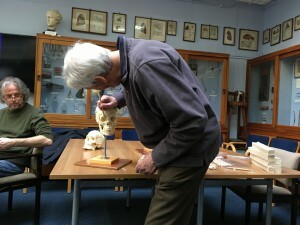 Below is a gallery from the day. 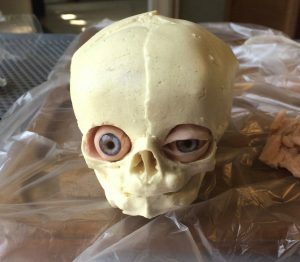 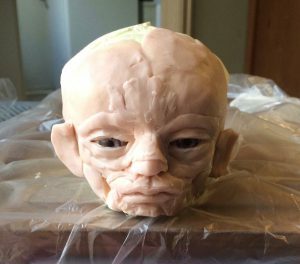 This workshop held on 14-15th October 2016 covered sculpting the muscles of facial expression in wax onto a skull model by Pascale Pollier. 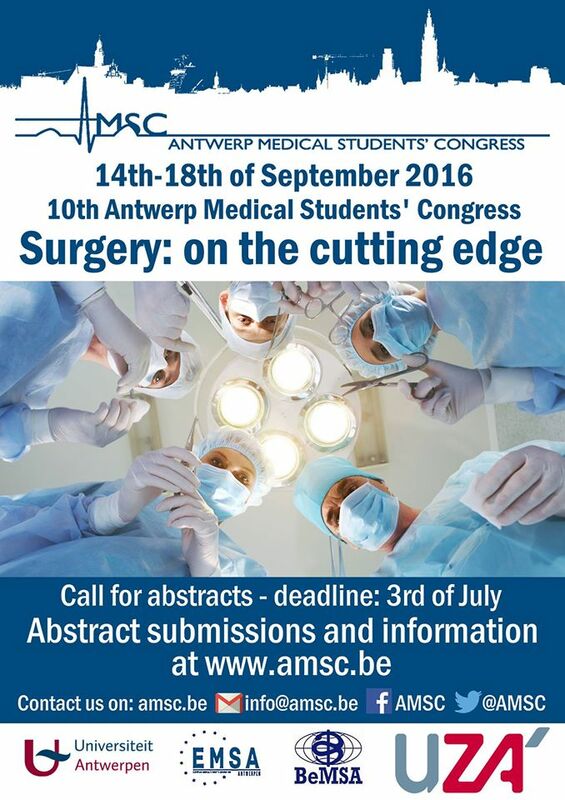 Held in Antwerp, Belgium as part of the 10th Antwerp Medical Students’ Congress SURGERY: ON THE CUTTING EDGE, 14-18th Sep 2016.